The Vedic Scriptures of 4,000 years ago were the foundation of our Buddhism 2,500 years ago and again these Hindu philosophies flavored the spirituality of Bodhidharma who is the founder of Zen Buddhism about 580AD. Coyote discovers the Bhagavad Gita while returning from a Kenney Chesney concert he had worked as a stagehand. As Coyote discovers the beautiful truths in these Vedic Scriptures he decides to create a book that will enable Westerners to appreciate these ancient wisdoms. From 2008 to 2011, Buddha Zhenstudied every book he could find on Confucius. When Buddha Z was ready to collect his notes together, he discovered he had a 4-year program of information. 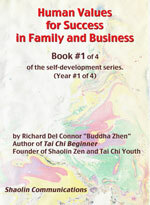 Spending weeks of cross-referencing and coordinating the lessons of this book with the curriculums and required readings of his Tai Chi Youth, Buddha Kung Fu, and Shaolin Chi Mantis schools... Buddha Zhen created the quintessential guide to planning and coordinating your life, family, business, and government into a workable family in which you know your place and succeed accordingly. Although many of these marriage and ceremonial techniques are antiquated, Buddha Z has written the book to remind each student to find the similarities and parallels in their life to utilize these concepts of psychology and teamwork. 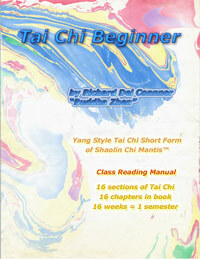 The FIRST INTERACTIVE INTERNET STUDENT MANUAL is published June 2008 by Shaolin Communications. 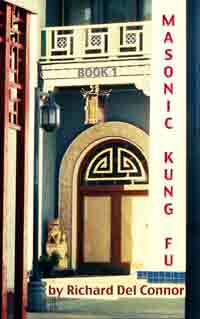 In order to launch his new Kung Fu school, BUDDHA KUNG FU, Buddha Zhen Shen-Lang, Spirit Wolf of Truth, published this innovated and revolutionary book. 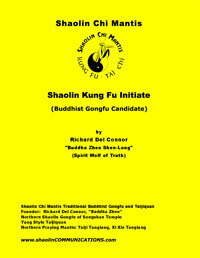 This book combined the Shaolin Gongfu Initiate Book written by Buddha Zhen in 1996 with the TCY New Student Packet of Tai Chi Youth. "I had an additional purpose in publishing this book," explains Buddha Zhen. "I wanted to inspire traditional values faster in the students. Previously I had to rely on students sharing videos and books to culminate an awareness of traditional Chinese Kung Fu values. Now, with this book, I can steer students to these resources faster, and inspire them during their first semester to have a Kung Fu way of life and a 'Shaolin Spirit.'" 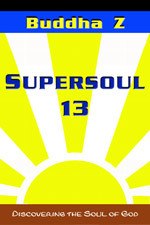 The first half of the book is downloadable immediately after purchasing. The second half of the book is downloadable after one semester, so that students can focus on completing the first half entirely as a requirement for advancing to the next Buddha Kung Fu Belt Rank Level of "Buddha Novice." The second half of the book is not read in class as much as the first half of the book. 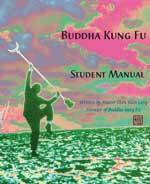 Instead, Buddha Novices must surf the internet website links in their Buddha Kung Fu Student Manual PDF on their computer. This is the book that can guide you toward becoming a Buddha. "As told to me by Satan"
This amusing version of history may be true. Novel about Chinese youth and a British Freemason in China before Japanese invasion of 1937. 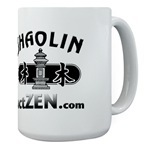 Provides insights into Chinese customs, and Shaolin Kung Fu Buddhist head shaving initiation ceremonies. Released in new format for ebooks and student convenience. This book follows the Shaolin Kung Fu Initiate book in Shaolin Chi Mantis schools. 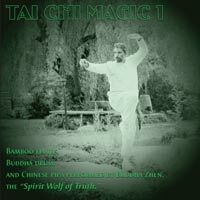 Required reading in Tai Chi Youth schools, and Buddha Kung Fu schools also. 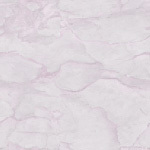 This book has been revised for new digital formats. This book was the basis for the Buddha Kung Fu Student Manual. Only required in Shaolin Chi Mantis programs, it will still be beneficial for all students of Tai Chi Youth and Buddha Kung Fu schools. Revised for new ebook formats and student use in class. This famous book, first published in the Decker Lake Maximum Security Prison in 1992, has improved the lives of hundreds of students. Each of the sixteen book sections corresponds with the 16 sections of the Yang Style Tai Chi Short Form of Shaolin Chi Mantis. 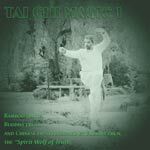 Tai Chi students never progress as far or as well without it.